This isn't meant to be redundant, as I'm sure you've seen this collection everywhere, but I couldn't help but post my favorite pieces from the 3.1 Phillip Lim for Target line. This is the best designer collaboration I've seen yet. Every time I think about the September 15th launch I get giddy. Why can't that date come sooner? To prepare for the shopping extravaganza, I'm having an all girls sleepover the night before. We'll obviously be going to bed super early to wake up at the crack of dawn for Target's doors to open. I've never actually gone to a Target store for one of these collaborations; how does it work? I want to be uber prepared for this, so someone please fill me in! If I can get my hands on them, I'm pretty sure I'll be taking home almost every item listed above. I'm so excited it's actually out of control. 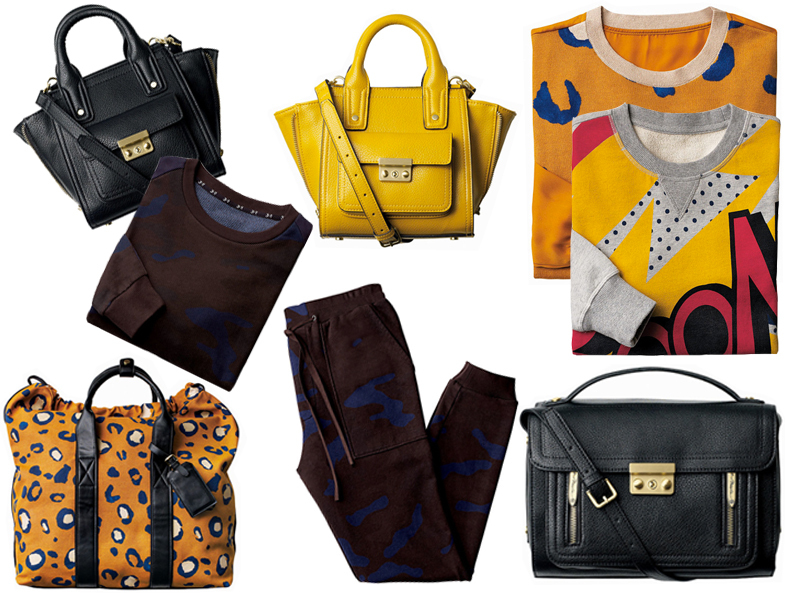 I like the sweaters and animal print bag!